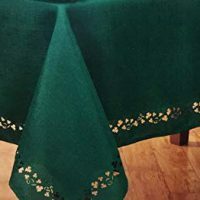 My post for Corned Beef and Cabbage Soup first appeared on Grumpy’s Honeybunch where I am a contributor. 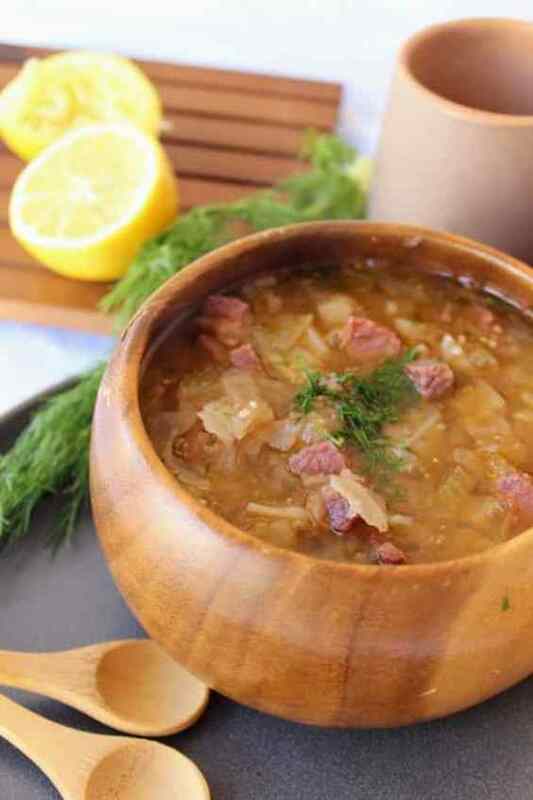 Try this Corned Beef and Cabbage Soup low carb recipe! 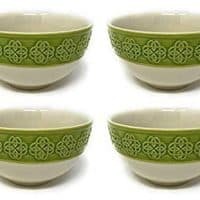 Looking for a keto St. Patrick’s Day soup? Look no further! 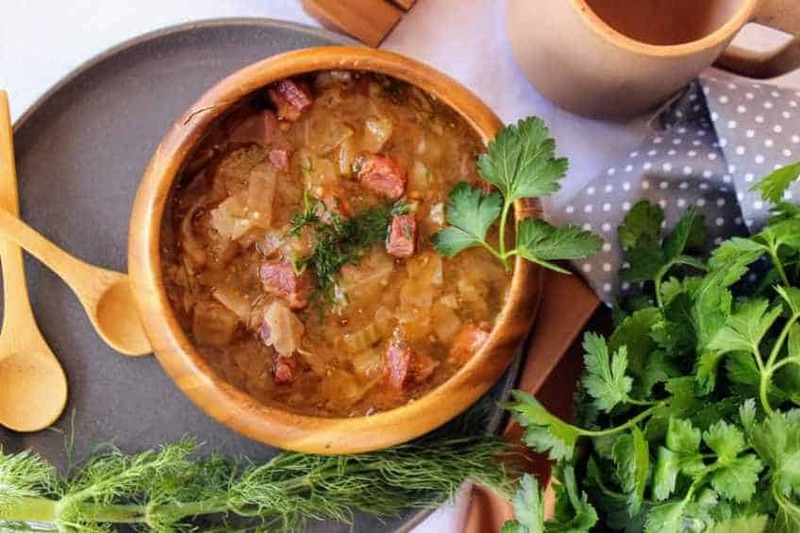 Spiced corned beef, creamy turnips, onion, and fennel bulb all make a delicious appearance in this keto instant pot corned beef and cabbage soup recipe. Make your corned beef and cabbage soup low carb! 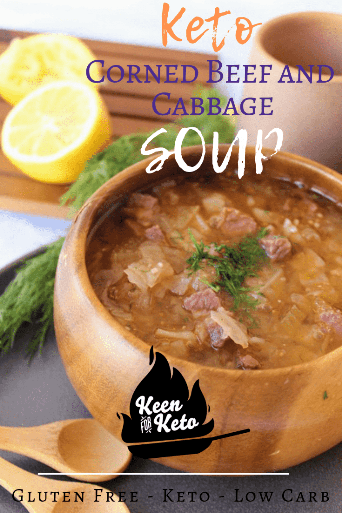 You won’t regret making the best keto cabbage soup! 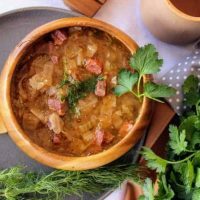 If you think there’s nothing that tops the comfort food list like corned beef and cabbage, then you need to try this Corned Beef and Cabbage Soup low carb recipe! 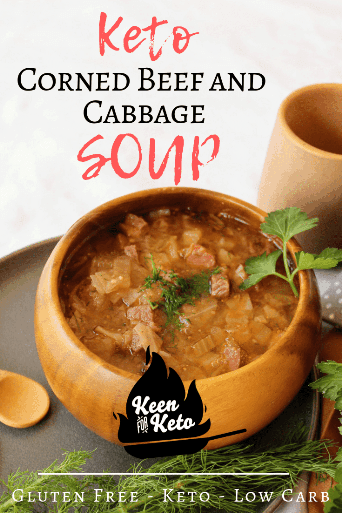 All the delicious flavors of corned beef, reworked into a soul-warming keto corned beef and cabbage soup full of low carb goodness. This is the classic Irish corned beef dish you love, transformed into a soup. It’s not only great for leftover corned beef, but has zero of the starchy potatoes you try to avoid on a keto diet. Plus, a few flavorful surprises! It wasn’t always the case, but now I love my pressure cooker. It was comfort food recipes like this Cheesy Keto Super Taco Instant Pot Omelet that won me over. With this Corned Beef and Cabbage recipe, you can sauté the onions and toast the spices using the sauté setting. As a result, I have less dirty dishes. This is one of the reasons I fell in love with the Instant Pot! 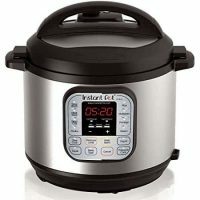 The Instant Pot makes it easy to use more than one function with all of its different settings. 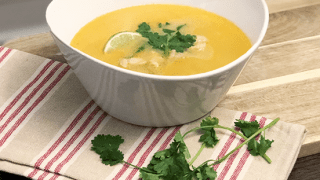 Because of these reasons I chose to make my soup in an Instant Pot. Can I use corned beef leftovers for corned beef and cabbage soup low carb recipe? Absolutely! You can definitely use your leftover corned beef from St. Patrick’s Day for this instant pot corned beef and cabbage soup. Dice up the corned beef leftovers or shred then and toss them right into the stock! And, it is such a perfect winter dinner! So if you don’t know what to make with leftover corned beef brisket, you’ve found yourself a winning dinner recipe. Have yourself a second St. Paddy’s Day feast! 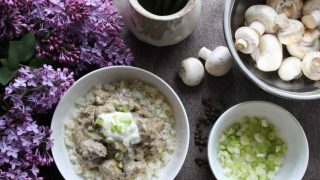 How did you make this low carb cabbage soup into a keto soup? Corned beef and cabbage is not difficult to make ketogenic. Most people eat their corned beef and cabbage with a side potatoes, so most versions of the soup add diced potatoes in the broth. As a substitution, you can add a low carb alternative like diced turnips to your stock and cook like you would potatoes. Can I make this a slow cooker corned beef and cabbage soup low carb recipe? 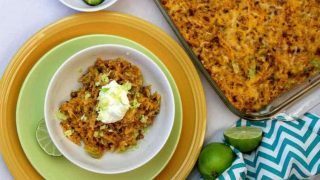 Why do you use the saute setting on the Instant Pot for this recipe? The saute setting allows you to make this a one-pot dinner. 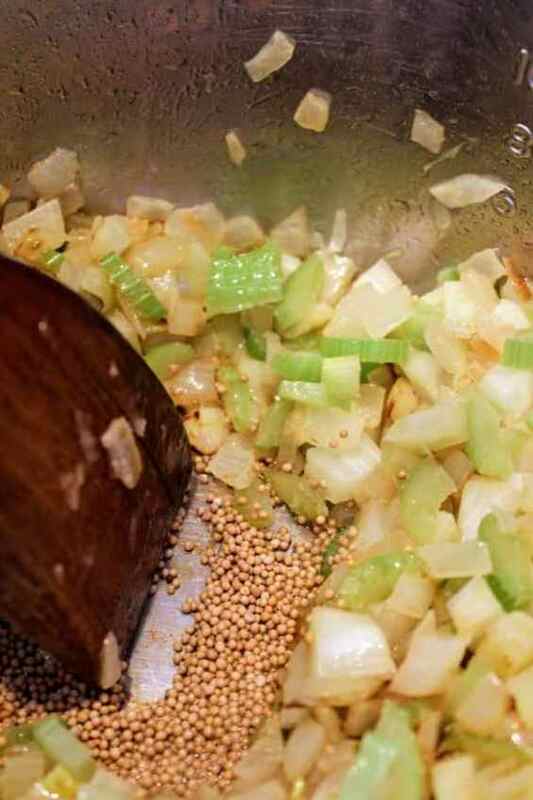 You saute the onions, celery, fennel bulb, and garlic and toast the mustard seeds and allspice right in the same pot. 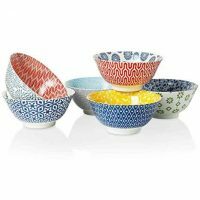 As a result, you have less dishes to wash. That always sounds great to me! Is corned beef keto friendly? Yes! As long as you’re not eating potatoes along with your corned beef dinner, you’re golden! 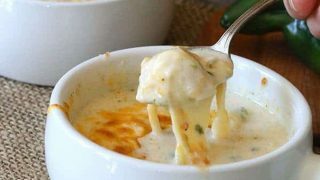 The best keto comfort food soup! This keto instant pot corned beef and cabbage soup low carb recipe will warm you right up and leave you doing an Irish jig. Use up those St. Patrick’s Day corned beef leftovers with this keto leftover corned beef and cabbage soup recipe! Made in the Instant Pot, Corned Beef and Cabbage soup is a delicious way to enjoy your leftover Corned Beef dinner! Sauté and toast the aromatics. First, you will sauté and toast the aromatics. 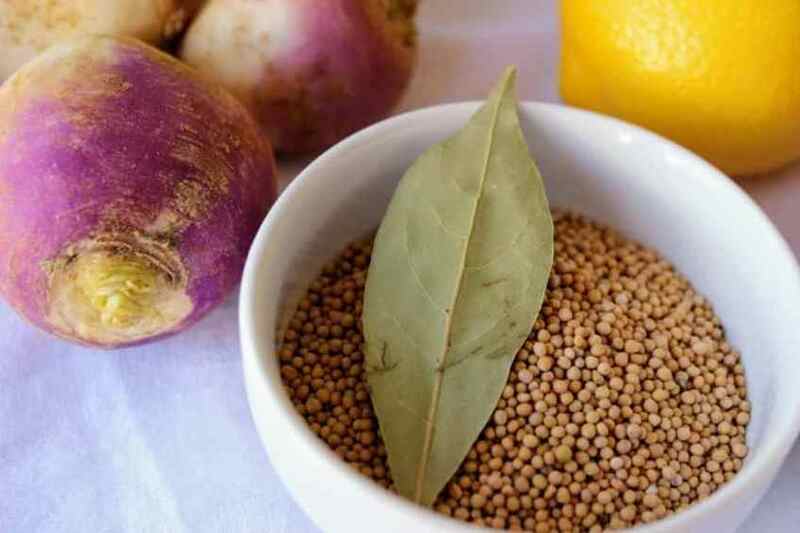 For this, you’ll use the sauté function on your Instant Pot. Process some of the broth. After sautéing and toasting the aromatics, you’ll add liquid to make a vegetable broth. Then, you’ll remove one cup of the mixture to process in a blender. This helps the flavors to marry and makes the stock much heartier with a richer flavor. Add processed stock and remaining ingredients to pot. The processed stock goes back into the pot with the rest of the stock as well as the rest of the ingredients except the fresh herbs and the lemon juice. 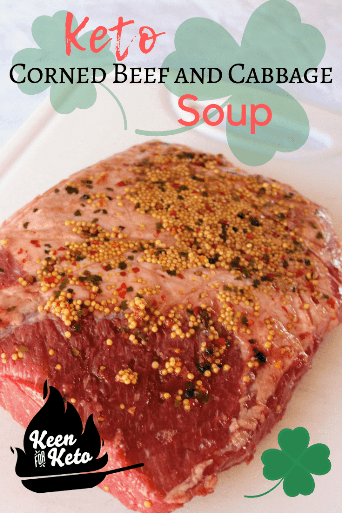 If you are not using leftover corned beef in this recipe, then this is the step where you would add your raw beef to the Instant Pot. Fill the pot to the max fill line with water. It may feel like a thick soup, but will thin out as it cooks, as the vegetables release more liquid. Or if you prefer an Irish Corn Beef Stew, don’t thin yours out as much. 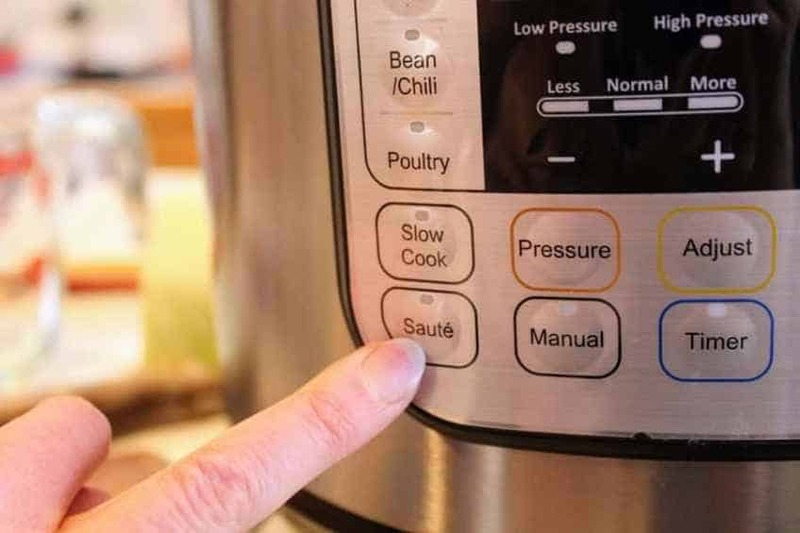 After the low carb soup is finished cooking, be sure to allow 15 minutes for the pressure cooker to slow release pressure. Add your chopped fennel fronds, chopped parsley, and squeeze in the juice of the lemon. Stir it up and enjoy! You'll also love these other keto comfort food dinners! 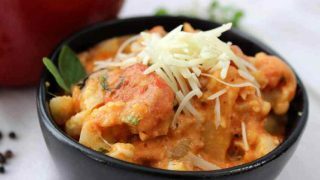 Click this link for more Keto Main Dishes from Keen for Keto. It’s about that time! You’re finished with St. Patrick’s Day and don’t know what to do with those corned beef leftovers. You’re in luck! I’ve got the best leftover corned beef and cabbage soup recipe for you! 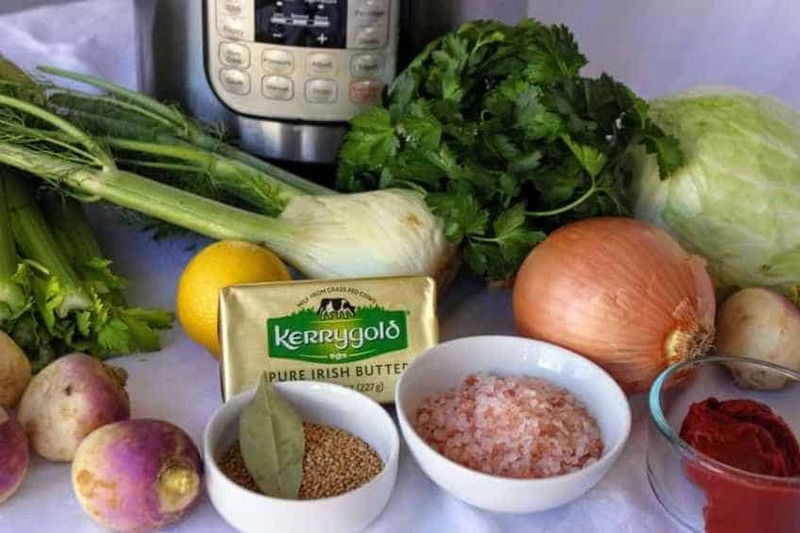 This ketogenic corned beef and cabbage soup recipe is different from the rest. Click the link to find out why with this keto comfort food dinner! Set the Instant Pot to sauté. It should read “30”. Add butter and onion. Saute for 10 minutes, stirring frequently. Add celery stalks, fennel, and garlic. Saute 6 more minutes. Push vegetables to the sides of the pot so there’s a “hole” in the middle, exposing the metal bottom of the pan. 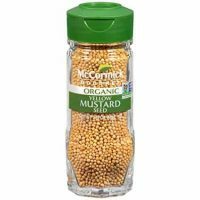 Add the mustard seeds to the middle of the pan and stir, toasting the seeds for 2 minutes. Add the allspice to the center with the mustard seeds and toast for 2 more minutes. Turn off the sauté feature. Add 2 cups water to the pot and stir. 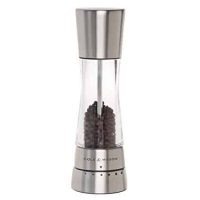 Remove 1 cup of the broth and process in a blender till smooth. Return the processed stock to the pot. Stir. Add the corned beef, bay leaf, tomato paste, cabbage, turnips, salt, and pepper. Fill the instant pot up with water till it nears the Max Fill line. Do NOT fill it higher than this line. Place the lid on the Instant Pot, turn the vent to “sealing”, and set the Instant Pot to cook for 30 minutes on high pressure. 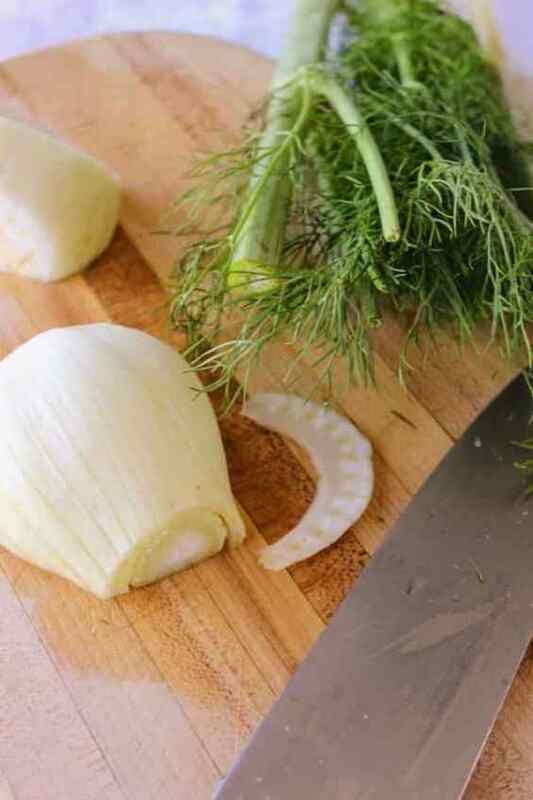 While the cabbage soup cooks, dice the parsley and fennel fronds, being careful not to use any of the harder stems of the fennel. When the soup is done cooking, allow the Instant Pot to sit and slow release pressure for 15 minutes. After 15 minutes, you may set the vent to “venting” to release the remainder of the pressure. When the pressure cooker is done venting, open the pot. Add the parsley, fennel fronds, and lemon juice, and stir. Serve and enjoy! It’s about that time! You’re finished with St. Patrick’s Day and don’t know what to do with those corned beef leftovers. You’re in luck! I’ve got the best leftover corned beef and cabbage soup recipe for you! This ketogenic corned beef and cabbage soup recipe is different from the rest. 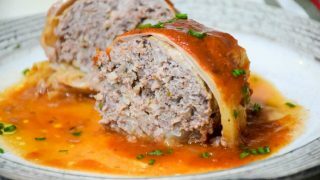 Try this keto comfort food dinner!